Creative strategist Mark Di Somma and I wanted to build a framework brand leaders could use to determine whether, if and how they should consider licensing their brands. When we looked around at all the literature, there were shelves of books on growing your company presence, plenty on how to buy, sell and negotiate for existing brands and businesses, quite a few on franchising, some on licensing. There was also plenty of publicity around the kinds of deals that were being struck. But what was missing, it seemed to us, was a framework that people in charge of growing brands could use to expand their marque methodically and responsibly into a broader phenomenon. What was also missing were the strategic criteria for knowing when to do that in order to meet growth targets. New formats, new partnering arrangements, and new corporate extensions are breathing new vitality into how and where ideas are seen through brands, and the environments in which they are experienced. While these changes are innovating brand growth frameworks in new and exciting ways, they are also making it more complex and more fraught. How should a brand look to grow? When is the right time to do so? How and when can it best capitalize on opportunities to hit the daunting growth targets that are increasingly expected? We wanted to find a framework and test that framework across various areas in order to compare and contrast the success factors. Does a licensed celebrity brand, for example, succeed for different reasons than a well-known not-for-profit brand? Does a corporate brand operate under different dynamics than one in the entertainment sector? Just as importantly, what might each learn from the other? To find out, we sat down with people who are working for, or who have worked for, brands that we thought had done a great job. We asked them about their approaches, their beliefs, their experiences, and their disappointments. Having analyzed dozens of examples, we narrowed the critical elements of a successful brand empire building down to five key factors: the five first letters of which form the acronym LASSO. Lateral, Addictive, Storied, Scalable, and Own-able. The LASSO model helps take what could be a very daunting task and makes it easy to do and even more importantly, easy to understand. Each element in the LASSO acronym is required in order to assess where your brand currently is positioned; each one has a scoring card that makes determining where your brand currently stands straightforward. “Lateral” is the first critical variable in the LASSO Model needed to build a successful brand licensing program. The challenge or goal of lateral expansion is to strike the right balance between surprise and alignment. This occurs when the brand appears where it was not expected, and the appearance of the brand in this sector makes sense because it mirrors what the brand already means. If the association is too “lateral,” or if the brand isn’t convincing enough, the whole arrangement appears wanting. It won’t pass the smell test. Consumers will sense this as quickly as a predator picks up the foul scent of a skunk, and steer clear. The decision on how to move laterally is critical because it helps define not just where the brand is seen, but also where it is most profitable. Expand ambitiously and, with the right brand, you have a brand that can take on new meaning and new revenues. If your brand displays lateral attributes, it may be ready to stretch into new categories. Expanding a brand beyond its operating sector into wider life categories encourages customers to think of “their” brand in new ways. Bulgari has expanded into resorts selectively scattered across the globe over the past decade; Better Homes and Gardens has extended into a home textiles and decor program that is exclusive to Walmart; Pantone, a color chart service, now can be found on mugs and tabletop products and in books, taking advantage of the brand’s color equity to shift the brand into entirely new channels of distribution. And while there have been expansion success stories there are many examples of brand expansions that have gone terribly wrong: Bic’s 1998 venture into perfume in the United States; or disposable pantyhose in Greece, Austria and Ireland. Consumers didn’t get it and the extensions ultimately failed. In a nutshell, this means there needs to be clear line of sight between what the brand says and stands for, and everywhere that it is seen. These associations can be literal or emotive, but they need to be well thought out. They must stem from a brand’s expansion point. As you consider the Lateral aspect of your brand, having clarity in your mind about what your brand is most linked to – a specific product set or a general idea – and what qualifies your brand to take ownership, will enable you to choose those categories that are bested suited to your brand. Make sure you also understand the problem consumers are trying to solve and why they would choose your brand to solve it. The best way to assess the lateral aspects of your brand is through my 7-question assessment tool that scores your brand’s lateral potential. You can see them here.. You’ll also find case studies that illustrate how brands move laterally: Newell-Rubbermaid, Turner Classic Movies, Better Homes & Gardens, Disney and Paper Mate. 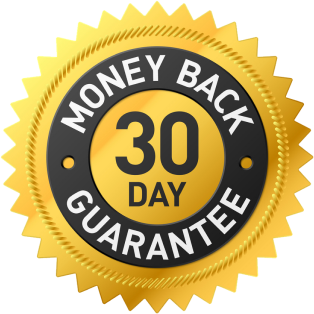 How To Tell If Your Brand Is Ready To Stretch Into New Categories, is only $29.99 and it comes with a 30 day money back guarantee. “Addictive” is the second critical variable in the LASSO Model needed to build a successful brand licensing program. Addictive-ness ensures that the brand has bankability enabling the relationships themselves to be proactively managed to keep customers constantly looking out for new opportunities. If your brand displays addictive attributes, it may be ready to stretch into new categories. In order for a brand to be addictive, each point of contact must be surprising and delightful in its own right. At the same time, that point of contact must motivate the buyer to come back for more, knowing that the experience they have next time will build on what they already know. When this is working well, customers are presented with more and more ways to interact with the brand, across a range of media and sectors, and each time that they do, it strengthens their loyalty to the brand and increases their interest in seeking out further encounters. How do you know if your brand is “Addictive”? 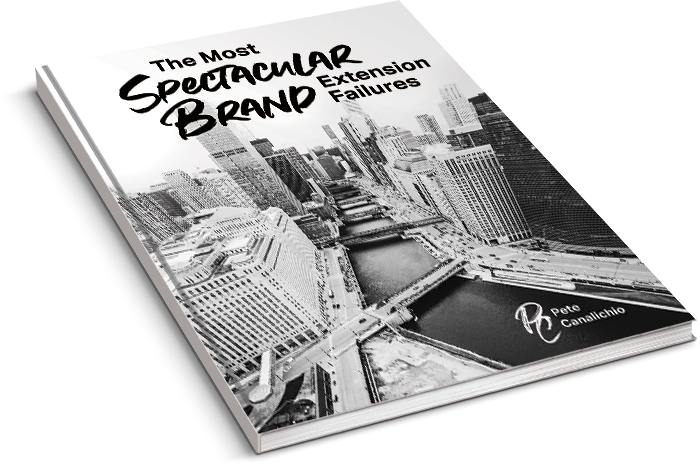 By answering the 7 questions in my guide, which will score your brand’s addictiveness on a 1 – 5 system. You’ll also read “Addictive” case studies like Pokémon Go, The NFL, Star Wars and more. “Storied” is the third critical variable in the LASSO Model needed to build a successful brand licensing program. History makes a brand interesting. It adds heritage to what is happening. It helps people feel like they are part of something that stretches back way before their time. Story also brings familiarity. Every human being understands the format of narrative: it is hard-wired into us as a way of sharing. Great examples of storied brands? Caterpillar and the Terminator and Star Wars movie series. Brands that can expand what they offer within the context of expanding a familiar story are able to take customers on a journey that feels both familiar and new. Stories are involving and collective, but they are also personal. With a strong story being the foundation of a brand it can afford the brand the ability to confidently stretch into new categories. Storied brands compel people to collect memories that link them back. They are wonderfully intriguing because they have had so much human involvement already. There is a powerful sense that ‘adding on’ makes the past more special, and the present seem so much more potent. If you can build a brand with legacy, and at the same time add new timeless and universal ideas from that legacy, all the elements to draw a crowd are at your command. This is also an excellent way to grow a brand from its core strengths and explore ways to keep a historic brand current. “Scalable” is the fourth critical variable in the LASSO Model needed to build a successful brand licensing program. Brand licensing should be viewed, from a scalability point of view, as a form of merger and acquisition. You are merging the brand of one sector with the momentum of another sector in order to achieve new levels of growth and scale to create a hybrid presence, which is more powerful and effective than either expansion would have been alone. If your brand displays scalability attributes, it may be ready to stretch into new categories. Scalability is a combination of brand equity, footprint, presence and growth. More brands should judge their licensing decisions in this way when it comes to market penetration. You’re not just looking to enter into a new market through a licensing program; you’re looking to link the brand to the levels of growth in that market as well. Do this carefully. Expanding your brand into a market with stalled growth may meet the scalability criteria in terms of footprint and even presence, but it almost certainly won’t enable the brand to hit its growth targets. Increasingly, brands operate across bigger and bigger vistas, but achieving scale is complicated. There is always a delicate balance to be drawn. On the one hand, an idea must expand to fill the bigger arena where it wishes to be seen. That in turn, adds all sorts of complications in logistics, culture, language and so much more. On the other, the brand must remain true to what people first fell in love with. That is why the hardest point of scalability is knowing which parts to make even bigger and which to adapt or omit. How far will you go to deliver your brand? The other critical decision is resolving the expansion riddle – expanding the brand purposefully into sectors that fit with the brand, but are also growing at rates that will add critical momentum. An extraordinary example of “merger and acquisition” would be Coca-Cola Shoes sold in Brazil. You can read all about it in my $29.99 guide, How To Tell If Your Brand Is Ready To Stretch Into New Categories. It’s a PDF download so you can start reading it right now. “Ownable” is the last critical variable in the LASSO Model needed to build a successful brand licensing program. Own-able is the critical variable when looking at whether, and how, to expand or condense a brand. In some ways, it’s the most important because how you structure a brand decides its form. Form influences not just where a brand can go, but also how easily it can meet the demands of consumers, and where it can be found. Own-able even influences the brand story because unless your brand can lay claim to a unique narrative, chances are it’s underpowered. 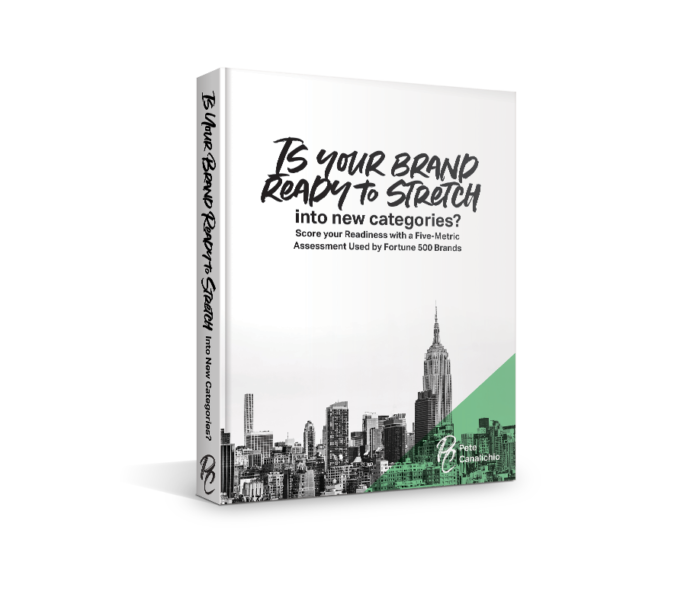 If your brand is structured to maximize its own-ability, it may be ready to stretch into new categories. The system that brings it to life. The footprint of that system. The inclination of consumers to seek out what you offer. Example: Subway offers food that tastes good, represents good value, is fast healthy and tailored to local tastes. Mergers and Acquisitions (M&A) have been a staple of corporate expansion since the late 19th century. According to Patrick Foulis, the Economist’s New York bureau chief, M&A has seen seven waves of deal-making in that time. This era is ending as antitrust regulation tightens, localism rebounds, and the deals themselves fail to live up to expectations in terms of returns on investment. The returns here are easier to gain for companies with low margins and low returns on invested capital. If brand investment is not retained this can evolve into an efficiency-hunting-only exercise. Efficiencies at the expense of brand value will drive commoditization. Helps keep supply and demand in check. Helps brands keep margins and perceived value higher. Returns power to brand owners. Danone’s acquisition of Stonyfield is an example of this. Cisco has used this approach to advance its presence and brand. Brands find this a highly effective way to fast-track market presence. Speed is a key concerns of M&A. Ferment and seal a large deal. The market itself has moved on. Companies that have forked out billions can find themselves playing catch-up as consumers shift attention to smaller brands that seem to better represent what they want. Co-Branding – a viable alternative. This tool brings two or more names together to create a presence that transcends what each brand could have achieved separately. From fashion to audio, sports to film, brands are increasingly working together to broaden their appeal and drive new interest in what they do. Consumer may see the pairing as unsuited. One party may lose favor and sour the relationship for both. There are six different types of co-branding, which I spell out here.